According to a recent report by the Daily Mirror, Arsenal are being linked with a move to secure the services of EC Bahia midfielder Eric dos Santos Rodrigues who is better known as Ramires. The same source has revealed that the Gunners were first linked with the Brazilian wonderkid back in January of last year. They have now sent scouts to monitor Ramires in action while the Mirror also claims that the South American would be delighted with the prospect of playing in the Premier League. In a recent interview (via the Mirror), EC Bahia executive director Diego Cerri shed some light on the future of the Brazilian Under-20 international and said, “Ramires is a boy of great potential, a bright future. “We are talking with Flamengo and also with other teams. Even though Cerri didn’t mention which European clubs are specifically scouting the Brazilian youngster, the report suggests that it could very well be Unai Emery’s side. Ramires is regarded as one of the brightest young prospects coming out of Brazilian football so it would be a massive coup for the North London giants if they can somehow manage to land the EC Bahia midfield sensation ahead of clubs such as Flamengo in the coming years. Ramires’ Versatility and Potential: Is He A Good Fit For The Gunners? Ramires can operate in a variety of roles at the centre of the park as he has the attributes to play in both an offensive or a defensive role in central midfield. At 18, the South American has a lot of time to develop his game and fulfil his true potential over the next few years. Arsenal needs to recruit well and build a strong squad capable of challenging for silverware in the long-run. Hence, Ramires will fit the bill perfectly as long as Emery is willing to be patient with him. 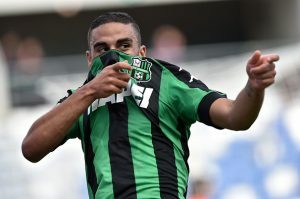 There is no doubt that the Brazilian Serie A youngster is still quite raw and is far from a finished product. One To Keep An Eye Out For In The Future? However, his talents are undeniably there for everyone to see so it could be a wise move for the long-term future of the club if the Gunners manage to bring him to the Emirates Stadium this summer. Chelsea Line Up This Ligue 1 Winger As Hazard Replacement: Good Fit For The Pensioners? 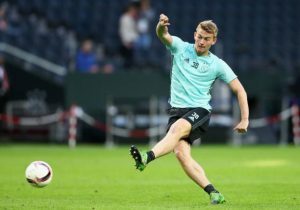 Everton To Join Race For 24 Y/O German Midfielder: Wise Move By The Toffees? Arsenal Renew Interest In This Turkish Sensation: A Canny Buy By Arsene? Arsenal Interested In Nimble-Footed French Attacker – Is He Worth The Fuss?